Looking for a vehicle loaded with American muscle? Check out the 2018 Dodge Challenger! The Challenger is perfect for cruising down the highway or smashing records at the track depending on the trim level you opt for! Plus the retro style and ample passenger room will make this vehicle your go to. There are so many new things for the 2018 Challenger including the introduction of the limited edition Demon that cranks out 840 horsepower, a larger standard touchscreen, and a standard rearview camera on all models! Want to learn even more about the 2018 Dodge Challenger and all its amazing features, engine options, and safety equipment? Read on! What standard features will I find in a 2018 Challenger? Dodge offers the 2018 Challenger is seven main trim levels with a handful of sub trim levels in the mix. 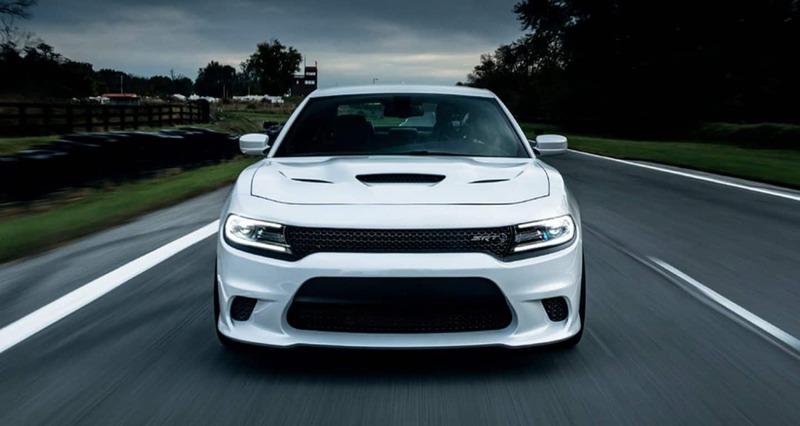 The main trims include the SXT, GT, R/T, R/T 392, SRT 392, SRT Hellcat, and the SRT Demon. Standard features include a 6-speaker audio system, keyless entry and ignition, heated mirrors, an auto-dimming rearview mirror, Apple CarPlay and Android Auto, dual-zone automatic climate control, Bluetooth, and a rear seat with 60/40 split folding. Additional standard features include a power-adjustable driver seat, automatic headlights, a 7-inch touchscreen, 18-inch wheels, a rearview camera, and two USB ports. There are even more features to look for if you choose to opt for a higher trim level. Some of which include leather upholstery, larger wheels, Brembo performance brakes, a larger touchscreen, and an 18-speaker audio system. The engine lineup for the 2018 Dodge Challenger is impressive, to say the least. Starting off with the entry-level 3.6-liter V6 that cranks out 305 horsepower. The EPA gives this engine an estimated fuel economy of 30 mpg on the highway and 19 mpg in the city. Next up is the 372 horsepower 5.7-liter Hemi V8. 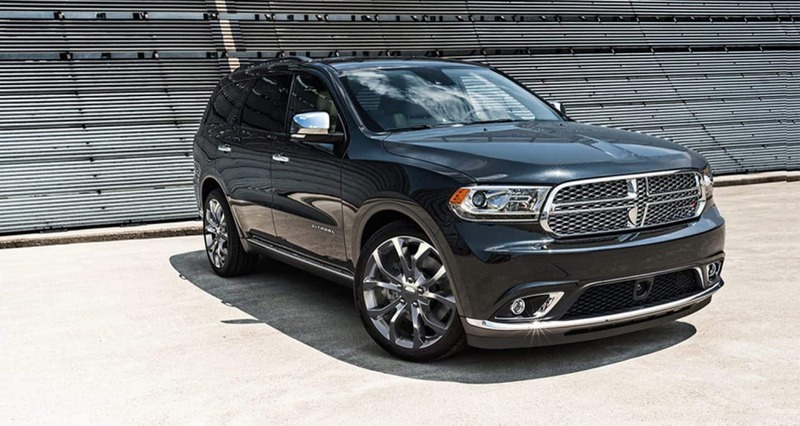 You can also opt for a 6.4-liter Hemi V8 that produces 485 horsepower. 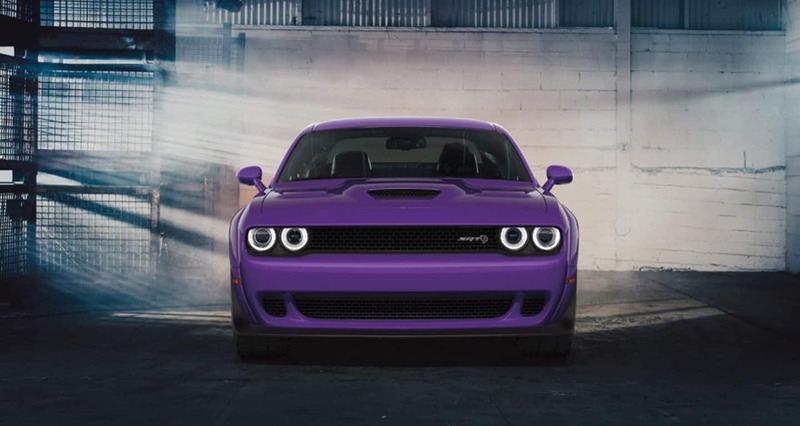 SRT Hellcat models are powered by a 6.2-liter supercharged Hemi V8 that delivers an unbelievable 707 horsepower! The limited SRT Demon also gets a 6.2-liter supercharged Hemi V8 underneath the hood but it cranks out 808 horsepower with 91 octane and 840 horsepower with 100 octane! 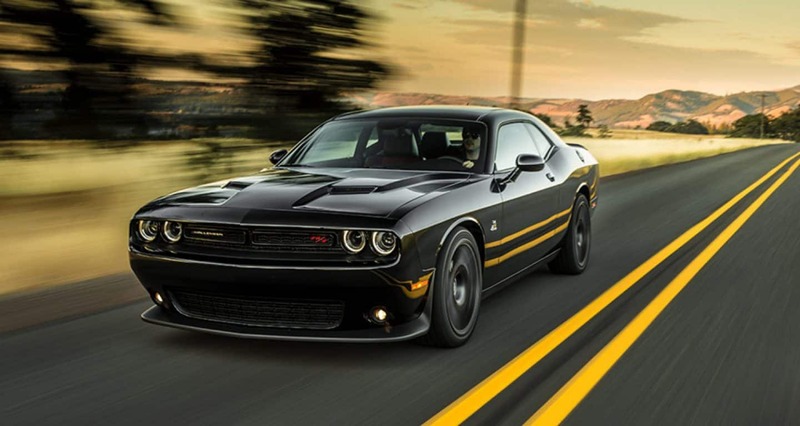 All engines are matched to an automatic 8-speed transmission but V8 powered models (besides the Demon) do offer a six-speed manual transmission. What standard safety features are offered for the 2018 Challenger? 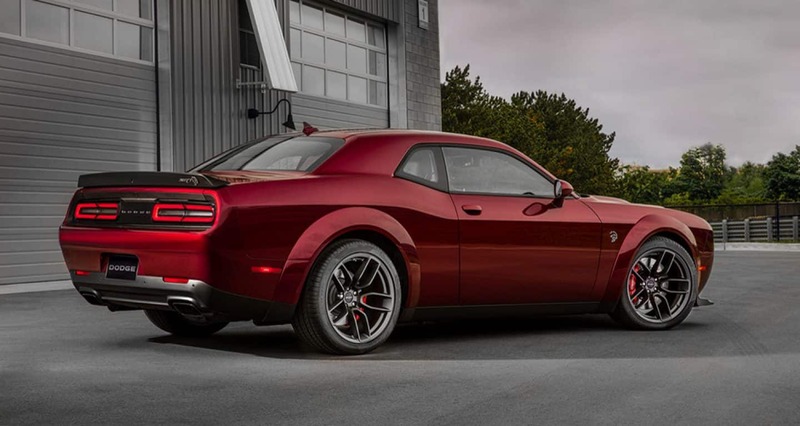 The 2018 Dodge Challenger offers next-generation safety and security. Each model is equipped with tons of features that help drivers have confidence behind the wheel and keep all passengers safe in the event of an accident! Standard features include active head restraints, headline module, ready alert braking, security alarm, supplemental front and rear side-curtain and front seat-mounted airbags, speed control, remote proximity keyless entry, and rain brake support. Additional standard features include a power trunk lid release, a rearview camera, knock back mitigation, Keyless Enter 'n Go, electronic stability control, dual note electric horns, all speed traction control, electronic roll mitigation, a theft deterrent system, and a tire pressure monitoring display. 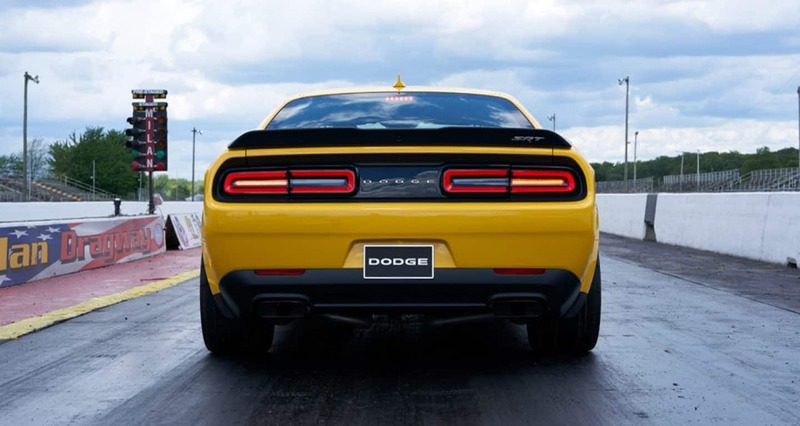 The 2018 Dodge Challenger does not hold back! No matter what trim level you opt for you're going to get bold style, advanced technology and convenience features, and a lengthy list of standard safety and security equipment! Come on down to the Thompson Chrysler Dodge Jeep Ram of Baltimore showroom to check out the Challenger in person. You can even take a test drive to really feel the power!